Testing day yesterday was small, quiet and lonely. Only six black sashes were there to evaluate the candidates, and for the first time since his promotion, my son was not among them. He had a school obligation, and the rest of the family simply had no reason to attend. 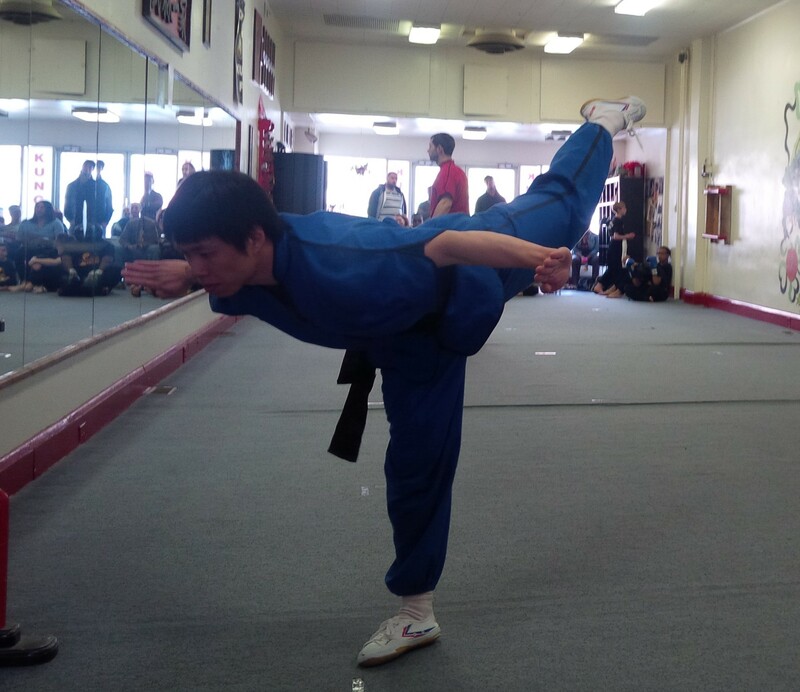 Adding to the unusual vibe of the day, only one Siheng joined Sifu in the demonstration portion of testing. A two-person demonstration was a first in my testing day experience – but it certainly made the morning move faster. The upside of so small a contingent of black sashes was that I ranked higher than normal in the hierarchy of those present and thus was able to award the sashes for the first time. I enjoyed that – particularly since I got to award the yellow sash to my last new student, the seven-year-old who joined the school and my class right before the class was no longer mine to teach. It was bittersweet. I ended the morning bolstered to come out of the box I’ve been assigned to for two months. Taking advantage of what seemed to be a decent mood for Sifu, I asked if he has an idea of when I may return to Friday class. I’m not actually sure I prefer his Friday class to the quiet and freedom of intense self-training in a gym that’s near empty during end-of-the-week happy hour, but I’d like the freedom to choose. It’s strange to be without that freedom after three years of taking it for granted. Conscious of both Sifu’s discomfort with confrontation and my own with face-to-face disappointment, I waited until I left the guan and emailed the question.